FusionPOS for Acumatica - A Business Match Made in Heaven. Sometimes you just know. Put the power and user-simplicity of FusionRMS together with Acumatica, and it's love at first sight. FusionPOS™ is a full-feature point-of-sale solution that lets you optimize Acumatica cloud ERP and accounting for centralized management in highly distributed retail environments. Ready to Talk to Us or Book a Demo? FusionPOS™ is uniquely perfect for Acumatica. It’s also fully customizable to your retail environment, size, and CRM style. 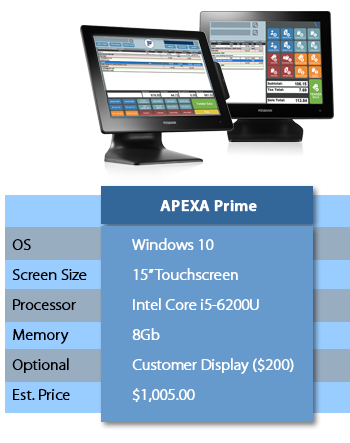 It does it all without losing any functionality of standalone retail solutions. Both keyboard- and/or touchscreen-compatible, Fusion Register is intuitive for your staff and entirely customizable to your needs. It can handle multiple customer types (cash, accounting, or marketing) within one system and can determine, on a line-by-line basis, the fulfillment methodology for an order and different register types to handle different requirements. All of Fusion’s cash registers, whether keyboard or touchscreen, sales, mobile, or customer service, require minimal training and integrate seamlessly with Acumatica inventory, flowing transactions, item pricing, and availability automatically. Add an item to Acumatica, and it is immediately available at the register. Purchasing, financial reporting, and cash management are performed within the system. 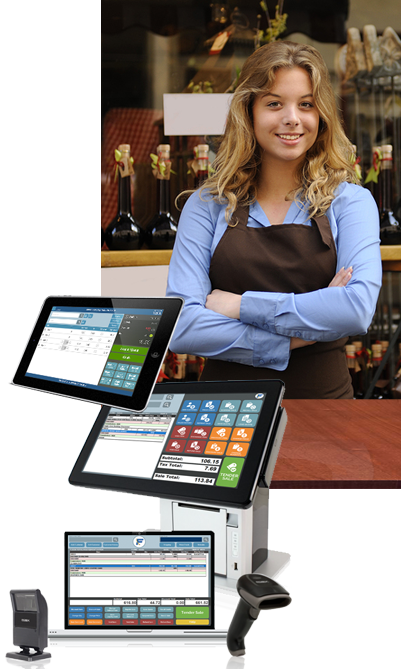 For a detailed description of the functionalities of FusionPOS click here. Registers that let managers focus on customers. No more time wasted manually entering data twice. Now all of your items, customers, and pricing data in Acumatica are automatically shared with FusionPOS™, and all of your transactions flow to Acumatica with data levels you set. Never make your customers wait again for a spotty Internet connection. FusionPOS™ lets you conduct business as usual and updates everything when the connection returns. FusionPOS™ maintains individual customer histories, so Acumatica doesn’t have to. That means you can collect and access all the buying pattern data you need for highly effective, focused marketing. Unlike many POS systems, FusionPOS™ lets you post phantom derivatives of ERP items to be converted back to the stocking unit of measure. Fusion Pricing lets you set bundled prices; BOGO; merchandising promos; vendor-based specials, and other specific, non-standard retail pricing that’s beyond the scope of conventional ERP systems. FusionGC prepayment card can be used and added to or from multiple locations. Balances are online and maintained in real-time. Great for field service too, Fusion Scheduler lets you easily assign prices to any task or resource. These can be converted automatically to register transactions, where you can also add extra items. Have any questions? Talk to Us or Book a Demo! Contact us for a quick no-obligation chat with one of our experts. We can walk you through how FusionWMS would fit your business needs and provide a step-by-step guide to getting started.